Nose Pliers. 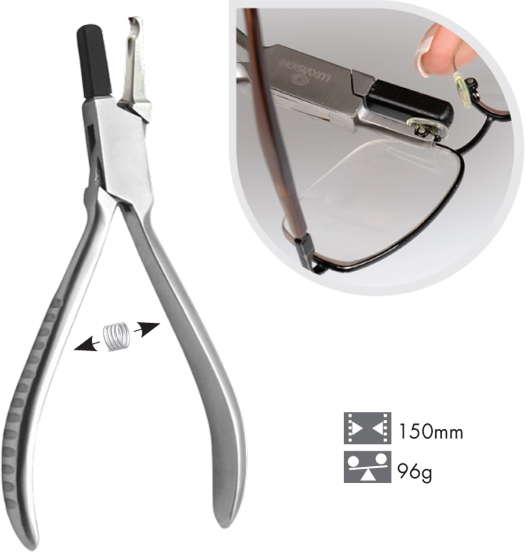 A quality pliers made of stainless steel for the adjustment of nose pads on a metal frame. The jaw is designed to fit a variety of nose pad styles. The soft support jaw aids in protecting the frame finish while frame adjustments are being performed. Ribbed handles on the pliers provide comfort and control while in use.